We are looking for a logo for a new licensed coffee bar. 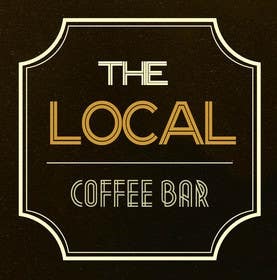 It needs to include the name "The Local Coffee Bar" emphasis on "the local". It needs to match the feel of the coffee bar, which is industrial and trendy, with lots of raw wood. It will be used for signs, business cards, websites... feel free to be creative. we're looking for something clean and simple. Hello Sir,whats going on with the contest? sir also check #91 #92 #93 #94 #95.Thanks! Are you sure that logo #45 did not deserve any star?? its too transformers looking. also don't really like the steaming coffee as an "o"
sir hello,i would like feedback on #10 #11 thanks! thanks!sir can you give feedback also on #33?